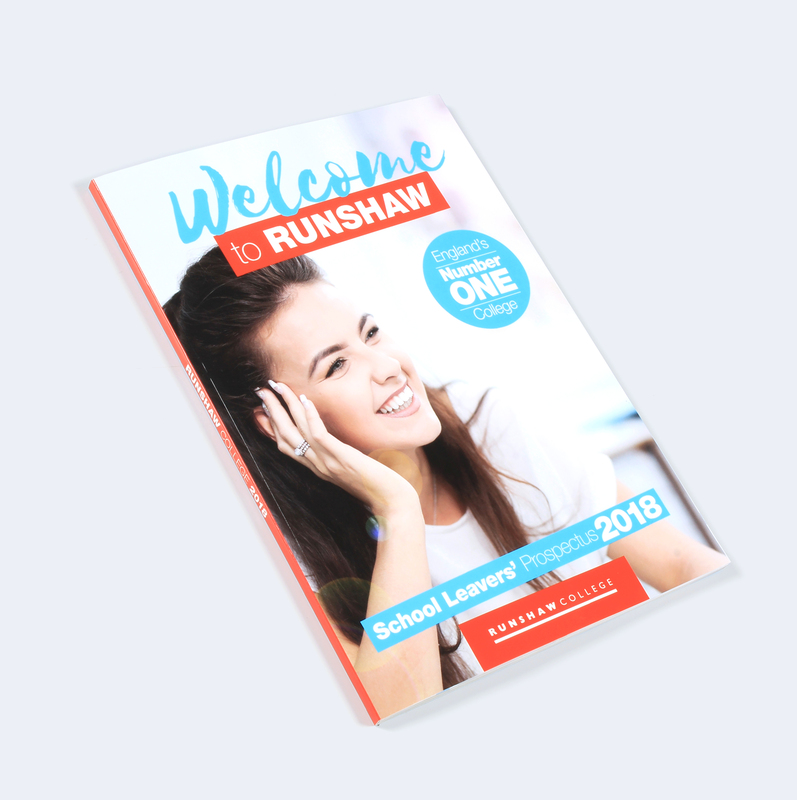 We have worked with Runshaw College since the inception of Stone Create. Over the years, this has included design, print, signage, promotional items. 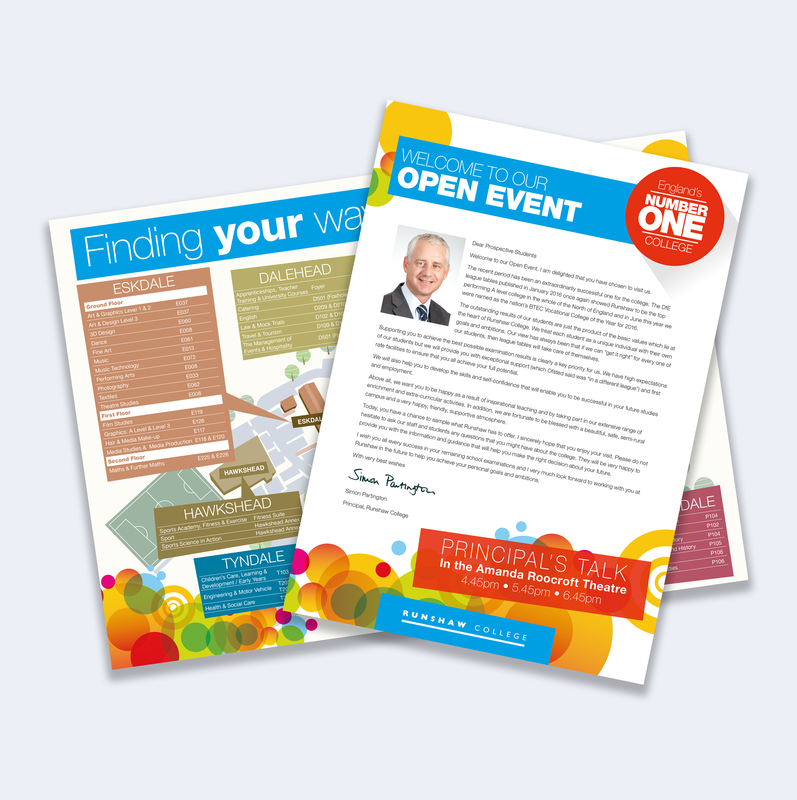 We work closely with the marketing team, who have their own in-house designers. This involves consultancy-based work, from planning the design and print of a prospectus, to giving the college ideas on how to maximise their annual marketing budget. We have carried out many different projects over the years, each with different deadlines and turnaround times (next day in some cases). 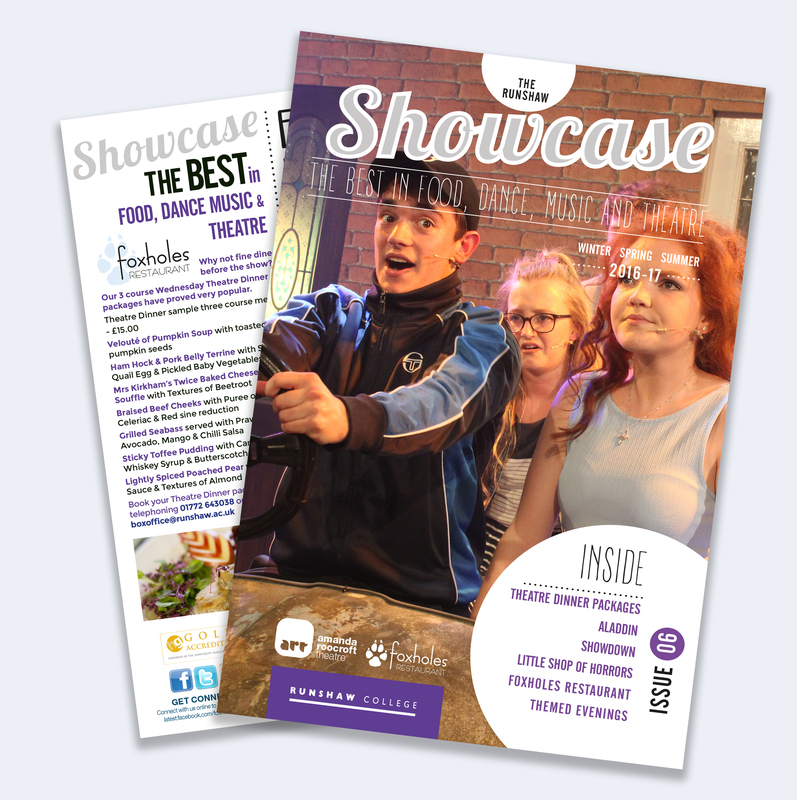 We are very proud to have worked with Runshaw College over the past six years, continually exceeding expectations, helping to maintain the great relationship that we have with them. 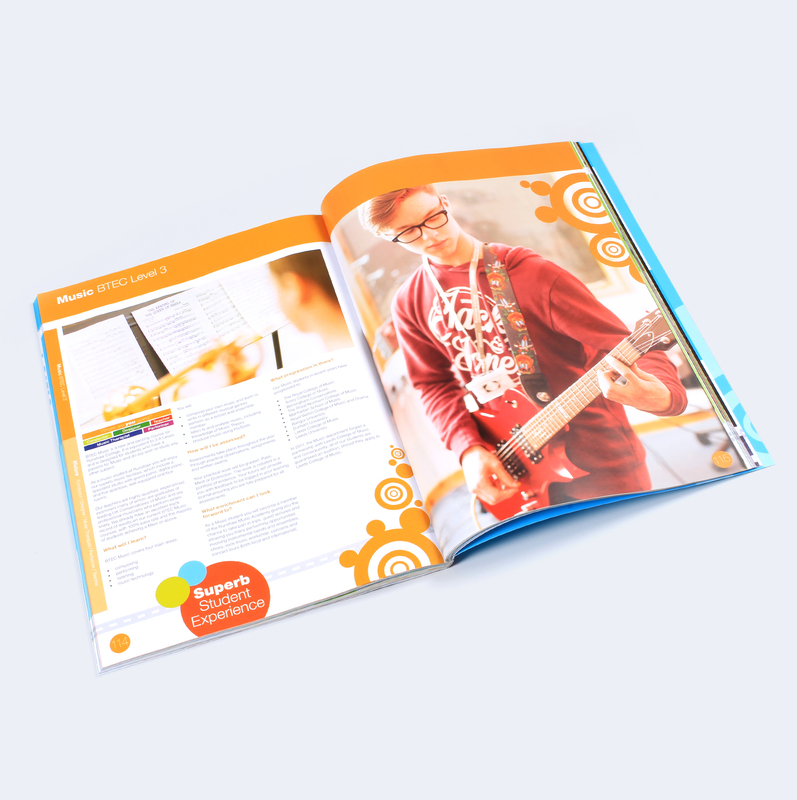 One of the projects we look forward to working on each year is the award-winning prospectus. 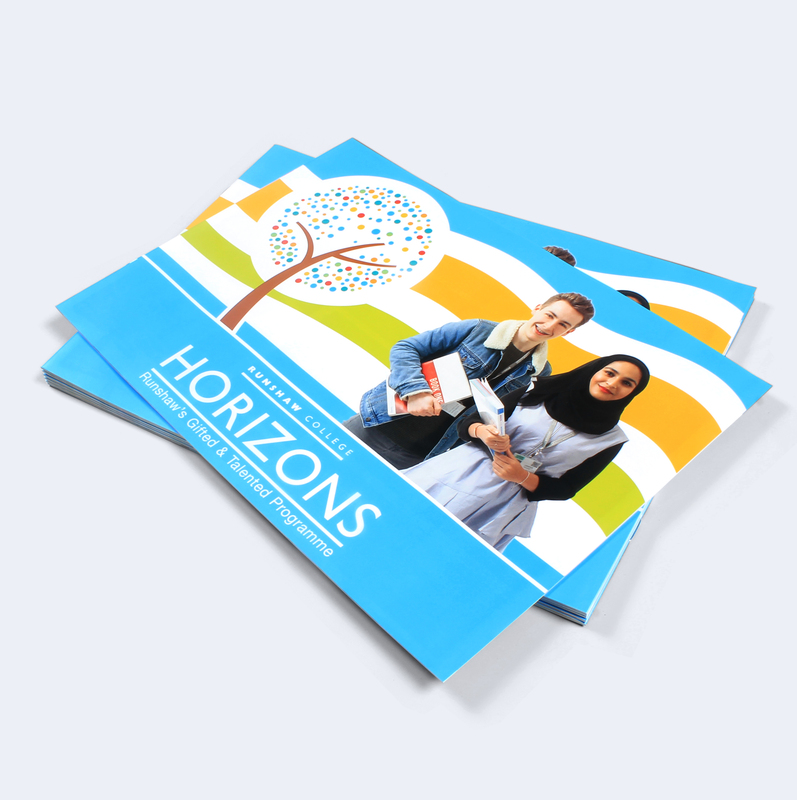 Starting with consulting over the look and feel of the prospectus, through to the final print and delivery of over 22,000 copies around the North West. This is just one example of the many varied and exciting projects that we get involved with throughout the year with the College.